Updates will be provided on both the American Diabetes Association guidelines as well as the American Association of Clinical Endocrinologists guidelines with a focus on newer agents and evidence supporting use of these medications. Summarize several cardiovascular outcome trials related to anti-diabetic agents and apply trial data to clinical decision-making. 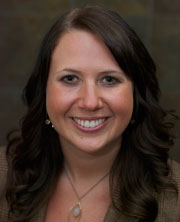 Kylee Funk is clinical faculty at the University of Minnesota College of Pharmacy. Dr. Funk provides comprehensive medication management at the University of Minnesota Health Nurse Practitioners Clinic. Her research is around the impact of CMM, pharmacist and nurse practitioner partenerships, and innovative techniques for diabetes education. Dr. Funk and Dr. Schweiss are co-directors for the Diabetes and Metabolic Syndrome course. Sarah Schweiss is clinical faculty at the University of Minnesota College of Pharmacy on the Duluth campus. She also serves as the Assistant Director for the University of Minnesota's PGY-1 residency program. Dr. Schweiss provides comprehensive medication management at St. Luke's Mount Royal Medical Clinic. Her scholarly expertise lies in the realm of innovative diabetes education, interprofessional diabetes care, and novel teaching methods among ambulatory care pharmacy residency programs. Dr. Schweiss co-directs the College's Diabetes and Metabolic Syndrome course with Dr. Funk, and also serves as the course director for an interprofessional diabetes experience elective. The cost is $25 for nonmembers. MPhA pharmacist members, pharmacy technician members and student members may attend at no cost. Please contact jessicag@ewald.com with any technical questions or issues.